The first vulnerability, identified as CVE-2018-16986, exists in TI chips CC2640 and CC2650 and affects many Cisco and Meraki's Wi-Fi access points. The bug takes advantage of a loophole in the way Bluetooth chips analyze incoming data. According to the researchers, sending more traffic to a BLE chip than it's supposed to handle causes memory corruption, commonly known as a buffer overflow attack, which could allow an attacker to run malicious code on an affected device. "First, the attacker sends multiple benign BLE broadcast messages, called Advertising Packets, which will be stored on the memory of the vulnerable BLE chip in the targeted device," researchers explained. "Next, the attacker sends the overflow packet, which is a standard advertising packet with a subtle alteration – a specific bit in its header turned ON instead of off. This bit causes the chip to allocate the information from the packet a much larger space than it really needs, triggering an overflow of critical memory in the process." The second vulnerability, identified as CVE-2018-7080​, resides in CC2642R2, CC2640R2, CC2640, CC2650, CC2540, and CC2541 TI chips, and affects Aruba's Wi-Fi access point Series 300. 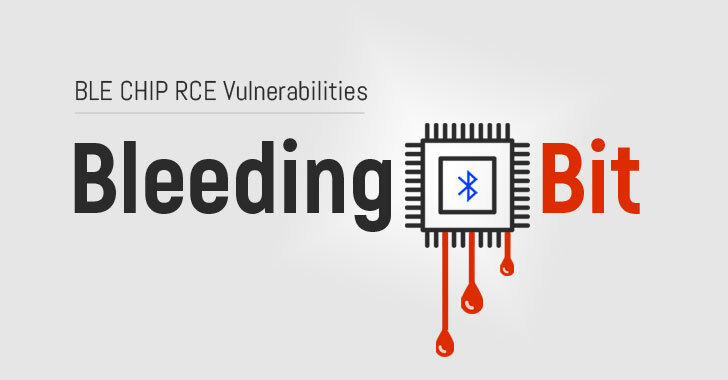 This vulnerability stems from an issue with Texas Instruments' firmware update feature in BLE chips called Over the Air Download (OAD). Since all Aruba access points share the same OAD password which can be "obtained by sniffing a legitimate update or by reverse-engineering Aruba's BLE firmware," an attacker can deliver a malicious update to the targeted access point and rewrite its operating system, gaining full control over the device. "By default, the OAD feature is not automatically configured to address secure firmware updates. It allows a simple update mechanism of the firmware running on the BLE chip over a GATT transaction," researchers explained. "An attacker… can connect to the BLE chip on a vulnerable access point and upload a malicious firmware containing the attacker's own code, effectively allowing a completely rewrite its operating system, thereby gaining full control over it," the researchers said.